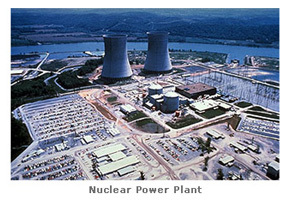 Nuclear power harnesses atomic energy to produce steam, which powers turbines similar to ones used in conventional oil, gas or coal-fired power plants. These turbines spin, producing electricity. The debate over the future of nuclear power has no middle ground. Advocates point to the large uranium reserves in this country, while opponents point to the safety issues in mining and using that uranium. Advocates point to the efficiency and environmental benefits of nuclear power, and the breeder reactor, and other new technologies. Opponents claim nuclear energy is no longer a cost effective option: construction costs, as well as the price of uranium and nuclear waste disposal, and necessary safety requirements have rendered it economically non-competitive. The final outcome of this debate is still unclear.